Solar panels can work very well on a flat roof. Whilst flat roof solar systems are more commonly found on commercial buildings, they can certainly be fitted to domestic properties. The array will use the same type of solar panel as a traditional system but considerations need to be made to ensure it is able to self-clean in the rain and avoid damage from strong winds. The pitch of the system will also be taken into account by the installer to ensure it can capture the optimum amount of energy from the sun. What are the benefits of having solar panels on a flat roof? Flat roofs provide easy access and plenty of room for installation and maintenance. This type of system is rarely visible from the street. Do I need planning permission for flat roof solar panels? 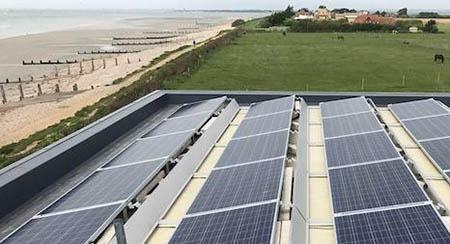 In most cases you don’t need planning permission for flat roof solar panels. You will find that the planning permission guidelines for a flat roof mounting system is similar to those for pitched roofs. Generally you don’t need planning permission providing your installation follows a set of guidelines, however you should consult your area’s Local Planning Authority if you need to. You can find further information about planning permission and solar panels on the government’s Planning Portal website. What angle do solar panels for flat roofs need to be? Flat roof solar panels need to be at a 20-50 degree angle. This allows solar panels mounted on flat roofs to be tilted upwards enough to ensure they capture as much sunlight as possible. This also helps to keep the array clean as rainfall will remove surface dirt that could reduce panel efficiency. In order to self-clean, the panels need to be mounted at an angle of at least 10 degrees. Often installers will use a device like an A-frame to mount panels at an angle between 20-50 degrees. A qualified installer will be able to determine the best pitch for an installation on your roof. What considerations need to be made for wind and flat roof solar panels? High winds are a potential risk to flat roof solar mounting, however there are different options to counter this. There are two common methods used to protect a system; fixing panels to the structure or adding weight to them. 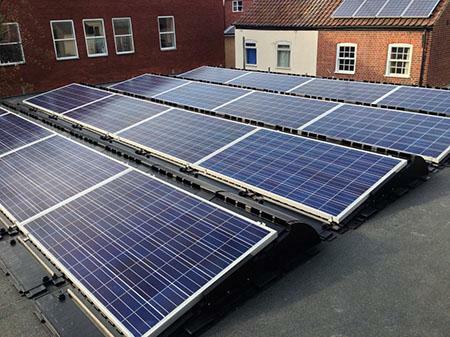 Using weight involves fitting ballast frames and heavy slabs to the roof, which solar panels are then attached to. Fixing the panels to the structure involves penetrating the roof itself and securing a support structure and brackets which the solar panels themselves are then attached to. Can I also have flat roof mounted solar thermal systems? Yes, solar thermal systems will be attached in the same way as a PV system for a flat roof. They will also work in the same way as any other traditional solar thermal system to generate heated water for your home. It’s important to hire a qualified and experienced solar installer to ensure your system is fitted correctly. 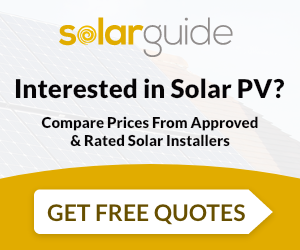 Solar Guide offers quotes from a range of MCS accredited companies with experience in fitting flat roof solar panel systems. Which are the Top Solar Cities 2014 – 2018?